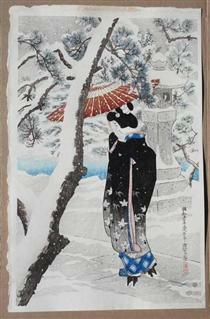 Shinsui Itō (Japanese: 伊東 深水, translit. 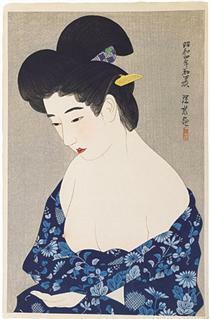 Itō Shinsui; 4 February 1898 – 8 May 1972) was the pseudonym of a Nihonga painter and ukiyo-e woodblock print artist in Taishō- and Shōwa-period Japan. 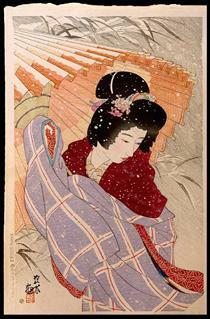 He was one of the great names of the shin-hanga art movement, which revitalized the traditional art after it began to decline with the advent of photography in the early 20th century. His real name was Itō Hajime (Japanese: 伊東 一). Itō was born in the Fukagawa district of Tokyo. After unwise investments bankrupted his father's business, he was forced to drop out of elementary school in the third grade and became a live-in apprentice at a printing shop. It was in this manner that he became interested in printing techniques and also in the arts. 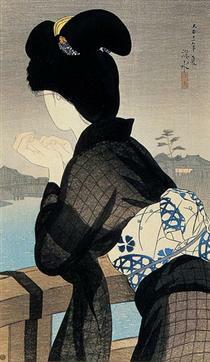 In 1911, Itō was accepted as an apprentice under Kaburagi Kiyokata, (who gave him the pseudonym of "Shinsui") and issued his first woodblock print the following year. His talent was soon apparent, and from the following year, his paintings were entered in public exhibitions. 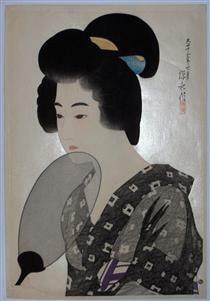 In 1912, his works were first shown by the Tatsumi gakai ("Southeast Painting Society") and later works were displayed by the Kyodokai ("Homeland Society"), the Nihon bijutsuin (Japan Art Institute), and in the government sponsored Bunten show. His works were received with much praise by art critics, and his reputation was soon made. His early works won numerous awards, and he accepted a post at the Tokyo Nichi Nichi Shimbun to supply illustrations for newspapers. 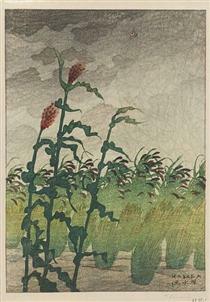 As with most artists of the shin-hanga movement (notably Kawase Hasui), Itō was spotted by publisher Watanabe Shōzaburō, who effectively monopolized the market. 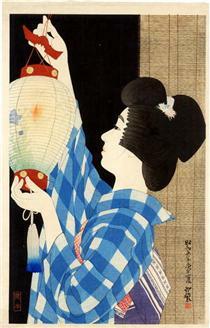 Itō came to be known as a specialist in the bijin-ga ("picture[s] of beautiful women") genre, although he also occasionally painted landscapes. 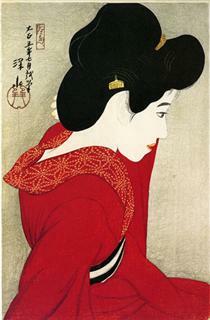 Itō's first major print, "Before the Mirror", depicts a young woman wearing a deep red kimono under-robe, looking off into an unseen mirror. Instead of using the harsh aniline red common in other contemporary prints, Itō used a natural vegetable dye, overprinting the robe several times to achieve a rich crimson color. Special care was also taken for the speckled gray texture background, making a contrast with the red garment, black hair, and white skin. 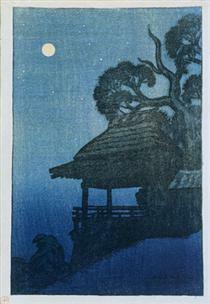 Itō's early landscape series, Eight Views of Lake Biwa inspired Kawase Hasui. 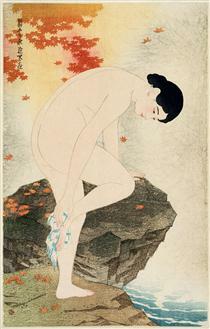 His early bijin-ga are generally considered his finest works, including Twelve Figures of New Beauties (1922–1923). 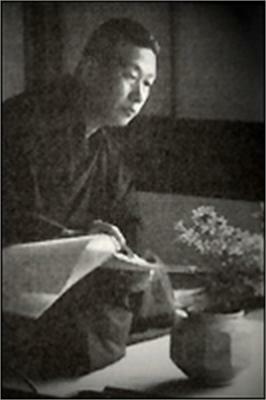 Itō established his own independent studio in 1927. 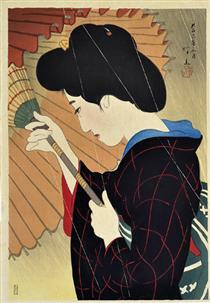 Although many of his early works were direct reflections of traditional ukiyo-e both in subject matter and in style, his technique was revolutionary. Ito would paint a "master painting" in watercolors, and dedicated craftsmen would make the actual prints from this "master copy". 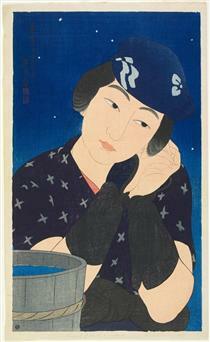 Itō was thus a pioneer in the shin-hanga movement. 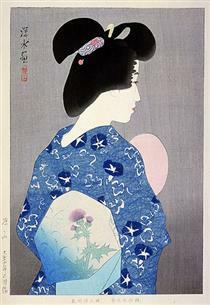 Watanabe and Itō continued their business cooperation into the 1960s, and Watanabe exported thousands of Shinsui prints, generating great success for them both. 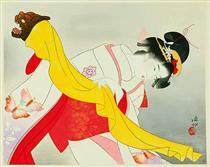 During the Pacific War, Itō was drafted by the Japanese government into producing propaganda art. He was sent to the South Pacific and Japanese-occupied Netherlands East Indies, and completed over 3000 sketches during his travels to various islands under Japanese rule. 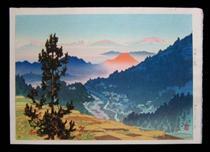 At the end of the war, he relocated from the ruins of Tokyo to Komoro in the mountains of Nagano Prefecture. He relocated from there to Kamakura, Kanagawa, in 1949. 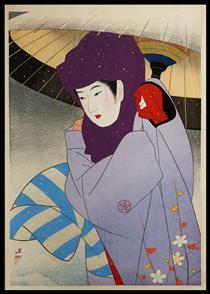 Kagamijishi Kabuki Dance Ito Shinsui ? 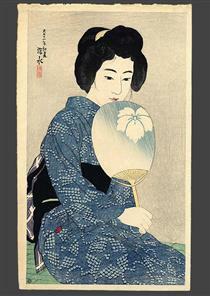 Washing the Hair Ito Shinsui ?